Johnson returns home to Phoenix where he started his high school basketball career. He'll sit out the 2018-19 season, but should fit nicely with the WAC powerhouse. Carlos Johnson, who played the past two seasons for the Washington men’s basketball team, is returning home. The 6-foot-3 sophomore guard received his release from the Huskies and is transferring to Grand Canyon. He will have to sit out next season because of NCAA transfer rules and will have two years of eligibility. A native of Centralia, Ill., Johnson played his first two seasons of high school basketball in Phoenix before finishing his prep career with stops in El Cerrito, Calif. and Henderson, NV. As a UW freshman in 2016-17, Johnson played in every game while making four starts and averaging 5.9 points, 3.0 rebounds and 17.9 minutes. However, Johnson struggled to find a role with the Huskies during coach Mike Hopkins’ first year at Washington. Johnson averaged just 3.8 points, 1.4 rebounds and 8.5 minutes in 17 games during the 2017-18 season. Johnson joins a Grand Canyon team that’s quickly become a Western Athletic Conference powerhouse since making the transition from NAIA to NCAA Division I in 2013-14. Under the guidance of coach Dan Majerle, the former NBA standout, the Lopes have won at least 22 games in each of the past three seasons. Last season GCU finished 22-12, including a loss in the WAC tournament title game with an automatic NCAA tournament berth on the line. The Lopes’ season ended in the first round of the College Basketball Invitational. 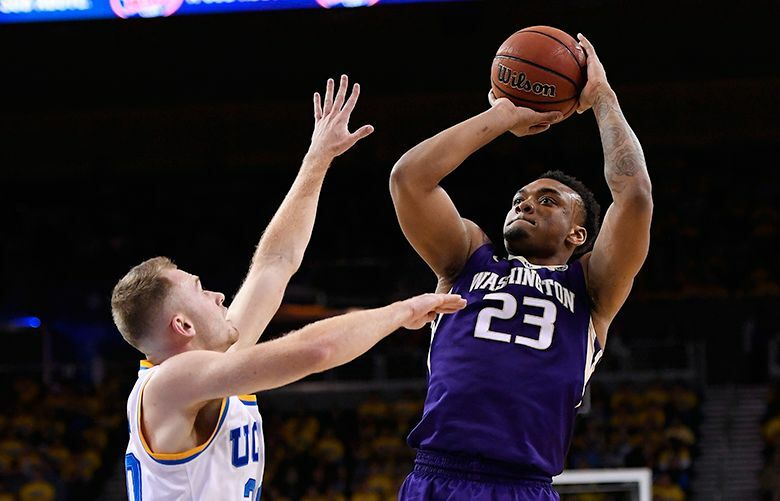 Johnson is one of four Huskies who have left the team since the start of the 2017-18 season, including Devenir Duruisseau, Michael Carter III and Bitumba Baruti.